Perhaps one of my biggest projects to date — and moreover the one I've mostly used over other projects during the years — Bancha is an open-source CMS (and framework) I built back in 2011 using PHP5 and CodeIgniter. It has been quite popular among the PHP community over the past few years and I'm definitely glag to have made it. 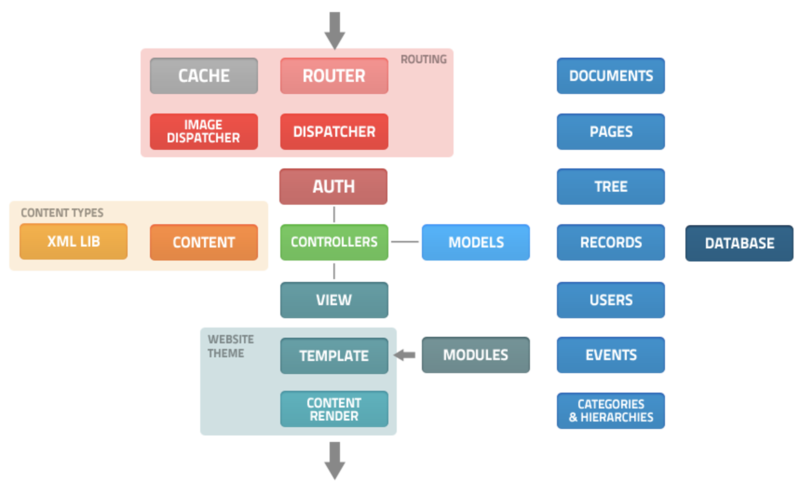 Bancha bases its power on some pillars that make it different from other CMS: it allows you to handle any type of content: pages, news, photo galleries, products, etc ... through XML (or XAML) schemas. In 10 minutes, you can fully configure a website to manage, list and view any kind of thing you want. The image above should pretty much highlight that the framework is very modular and each bit can be swapped or upgraded when necessary. The idea which I've built Bancha with, is to make easy for developers to build up and configure a fully functional website which will then be used from the client. It aims at simplify development and remove entirely the bootstrapping phase when setting up a new project. Nowadays, I'm thinking or rewriting the entire stack with Node.js, but I haven't got time yet to rebuild the whole system, though I've managed to rewrite some of it (and I'm using it right here on this website! ), you can follow the Node.js redevelopment here. You can read more about the PHP version of Bancha on its website, or documentation or GitHub repository.